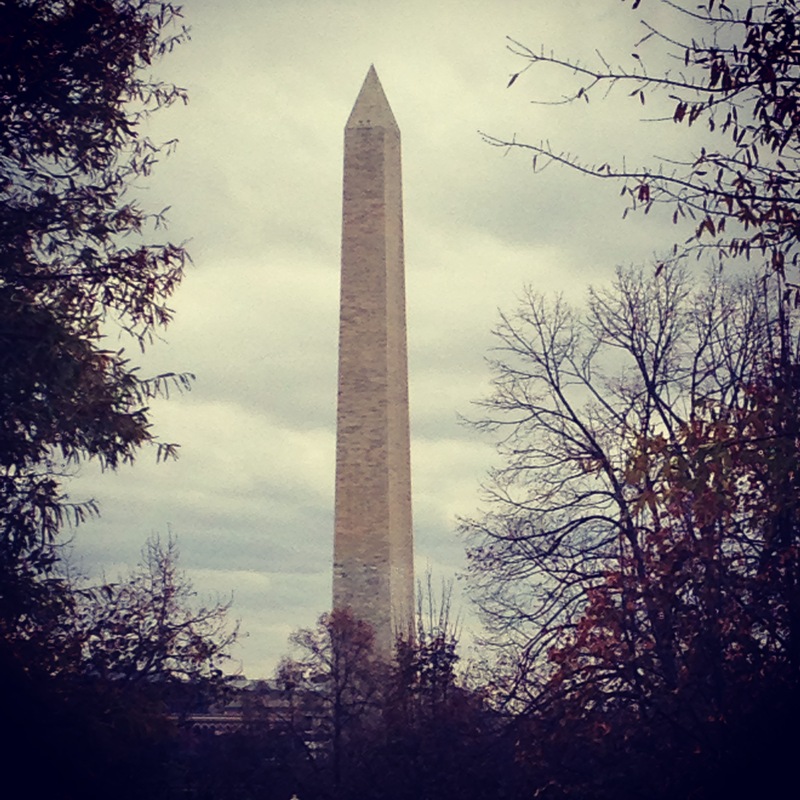 I was in Washington, D.C. for work two weeks ago and snapped this photo of the Washington Monument while waiting in a security line. When I saw the shot appear on my phone, I suddenly remembered another photo I took of the Washington Monument, back in the summer of 1998. I spent a week in D.C. that June as part of a program that introduced high-school students to how the government works and tried to interest them in government careers. At one point, we were walking around the Tidal Basin right after a rainstorm, and I looked up and saw that the monument was still partially encircled by rainclouds, but other parts of the sky had cleared to a soft pink. I grabbed my camera and took one shot. It was days, not seconds, before I saw how that photo turned out—I had to wait for the film to be developed!—but I knew as soon as I hit the shutter button that it was a good photo, maybe the first truly good photo I’d ever taken. When I got the prints, I shuffled through them until I found that one and saw that it had come out just as I’d imagined it would. I brought the negative back to the ShopRite photo lab and ordered an 8”x10” enlargement. That enlargement, in a plastic box frame, sits somewhere in one of the boxes scattered across my living room floor, waiting to be unpacked. I think there’s a spot on the wall next to my front door where it will just fit.